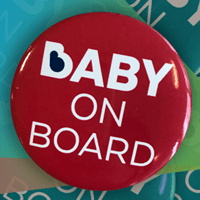 NWM company is giving away free Baby On Board badges, so if you are pregnant and you travel alot by train or bus, you should get it as it will let other commuters know and you will be offered a seat. Fill up the form to receive your badge today. Click on “GET IT HERE” button and then fill up the form to receive free badge from NWM.